I SPENT THIS PAST MONDAY WITH THE BOYS FROM SATURDAYS SURF, SHOOTING A FEATURE ON THEM FOR GQ (OUT THIS SUMMER). JOSH, MORGAN AND COLIN ARE SOME STAND UP GENTS WITH GREAT STYLE AND A POTENT COFFEE SERVICE. 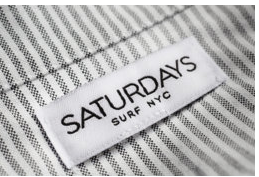 CHECK OUT THEIR SUMMER CLASSICS: CHINO'S, SHORTS AND HOODIES TO NAME A FEW OR THEIR JAPANESE WET SUIT COLLABORATION. THERE IS A FEAST OF GREAT STUFF THERE BESIDE JUST SURF GEAR. (INCLUDING LA COLOMBE COFFEE AND BAXTER GROOMING PRODUCTS). GO PAY A VISIT AT 31 CROSBY ST NYC.